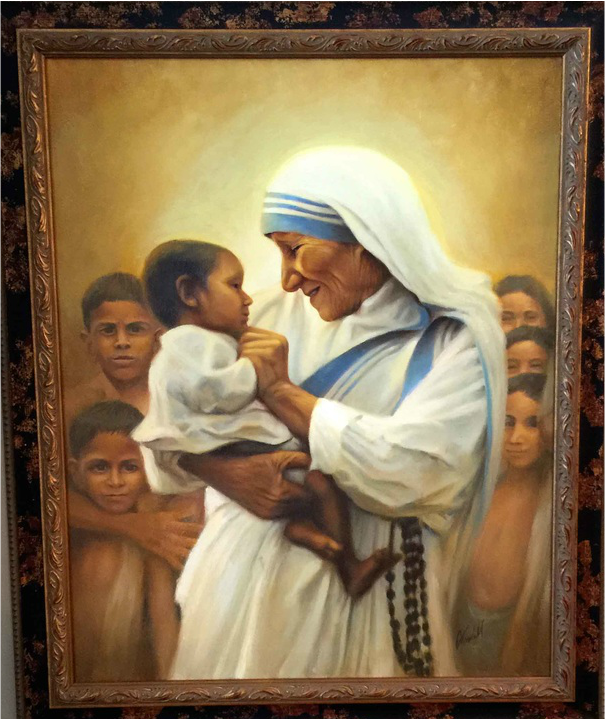 Mother Teresa (1910-1997) was a much beloved and revered figure in modern times and has changed the world through her simple living out of the Gospel of Jesus. Small of stature, she was powerful in spirit. “Make us worthy, Lord, to serve our fellow men throughout the world who live and die in poverty and hunger. Give them through our hands this day their daily bread, and by out understanding love, five peace and joy.” This prayer was written by her own hand in a book of devotions given to Malcom Muggeridge, a famed agnostic who was changed by knowing her and became a devout Catholic. It expressed simply and beautifully what she and the order of sisters she founded was all about.